GlobeIn Club: November Box Spoiler! Cost: $10 per month; unsubscribe anytime with no obligation. What is the GlobeIn Club? Fight poverty, one artisan at a time. Get the artisan pick of the month, add more fair trade products to your monthly package at members-only prices. Join the movement! 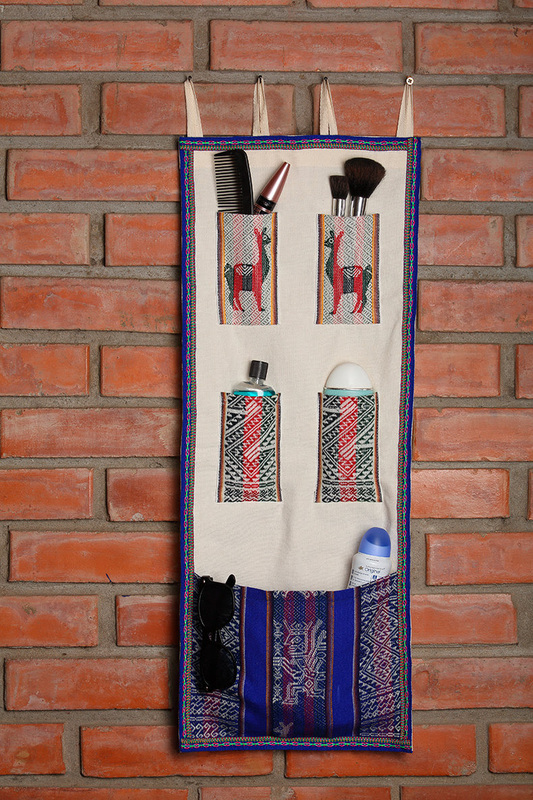 Hanging Wall Organizer from Peru (Retail Value $30). In the Sacred Valley of the Peruvian Andes, the village of Wanchaq receives a steady stream of tourists, yet disabled residents of the region find themselves cut off from this line of income, and from society in general. Unable to use his feet, artisan Freddy Flores sews with one hand and moves the sewing machine pedal with the other. Freddy is a member of ASWAN, an organization dedicated to promoting education, entrepreneurship, and social integration among the disabled of the region. Membership allows Freddy and his fellow artisans the opportunity to exchange ideas and to teach each other new skills. In the future, ASWAN envisions establishing a rehabilitation center for disabled persons, which would be the first of its kind in the country. Suggested use: Offer some reprieve to that over-flowing drawer, or cluttered countertop. Fill with kitchen gadgets, gardening tools, toiletries, or office supplies. Will you be ordering this GlobeIn Club Box? Let me know how you like it! ← Treat yourself at ToGoSpa!